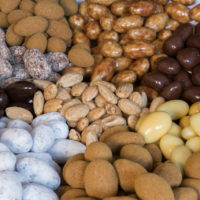 Gechocolateerde producten voor verscheidene winkelketens en groothandels. 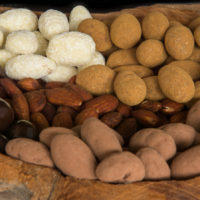 Choconut specializes in chocolate products for various retail chains and wholesalers. 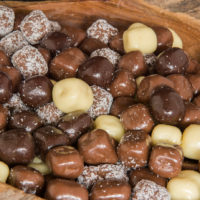 Choconut specializes in chocolate-coated products for various retail chains and wholesalers. 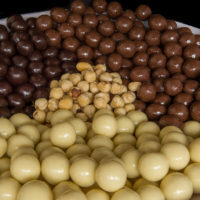 Consistent high quality and the wishes of our customers are paramount. 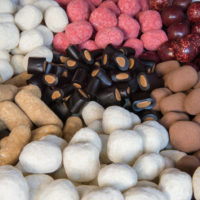 On this website we would like to give you an impression of our working method, the wide range of our products and the possibilities of product development in consultation with our customers. Before we start production, a careful selection of the raw materials used in the process takes place. 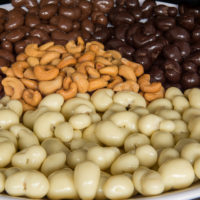 We choose only the highest quality raw materials to make our products. 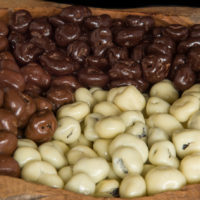 We only use chocolate from Callebaut (Belgium); we process this without wheypowder or foreign fats. 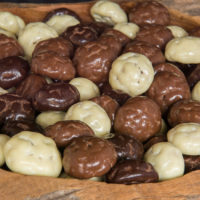 For our organic products we only use chocolate from Belcolade (Begium).We also can deliver “UTZ Mass Balance” chocolate.